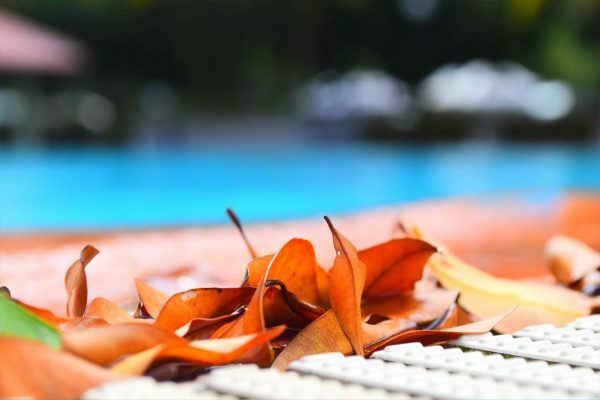 When you have professional pool cleaning services regularly scheduled for your St. Petersburg home, the beautiful afternoons spent lounging around in your yard become all the more enjoyable. Swimming in the clean, blue water is an easy job—it’s maintaining it that becomes problematic for most homeowners. It’s one thing to have a pool, but putting in the time and hard work required to properly maintain it is a whole different story. Let’s face it, even if you DID have skills of repairing pumps or knowledge of pH levels, would you really want to handle it yourself? Why spend hours burning in the Florida sun taking care of the beautiful oasis when local professionals in St. Petersburg could do it for you? Hiring a St. Petersburg professional will help you stay worry free (at least when it comes to your pool!). Our trained workers will take care of it far beyond simple maintenance. Not only do we get rid of the debris, leaves and other little things that rapidly accumulate, but we prevent problems from happening in the first place. We make sure the chemicals are at adequate levels so the water is as clean as can be, and we make sure all the system’s parts are working as efficiently as possible. It can be hard to fix a problem when you don’t even know there is one to begin with. Some issues that arise with pools—such as unsafe pH levels or worn out pumps—are easy to overlook. But if gone untreated can turn into much larger repairs in the long run. A professional pool cleaner will know exactly what to do with the water balance and chemicals needed. Sweeping the floor will prevent any sort of mold from forming. Regulating the filtration and water will not only prolong your basin lifespan, but it will also be safer for your own health. We can’t stress enough how much time proper pool cleaning can take. Our cleaning programs will allow us to create a schedule to get the job done a lot faster than you would—on a regular basis. You won’t have to worry about calling us just when something is wrong—because we will be there periodically to make sure it is all operating how it should. This means the only time you have to think about your pool is when you are in the mood to go for a swim! St. Petersburg offers a lot of options for your pool cleaning and maintenance needs. It is always a good idea to get quotes from different service providers to compare their work and proposals. The professionals at Triangle Pool in St. Petersburg take great care of your backyard piece of heaven, and make sure you always get serviced by the same worker. That way, you know who will be visiting your property and don’t have to let a “stranger” in your yard every time. Fill out our contact form or give us a call today at 727-531-0473 for a free pool cleaning quote!